Hello, all! 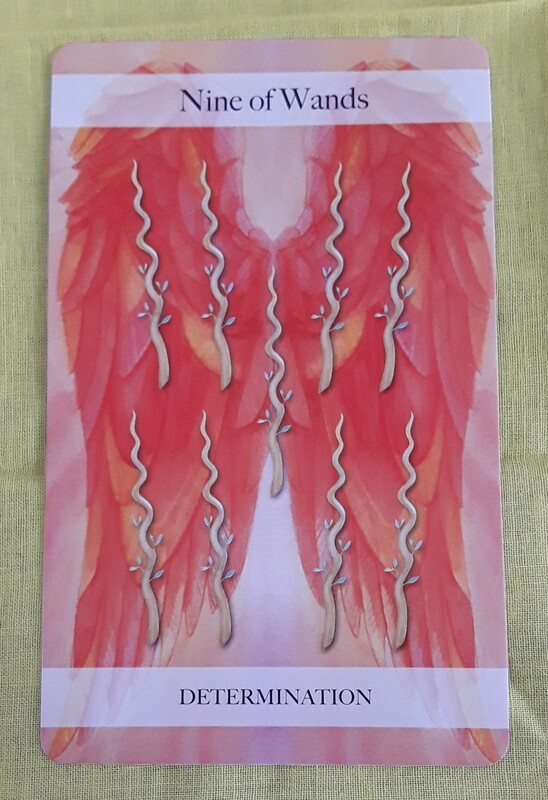 As promised, I’m going to use the Angel Tarot by Jayne Wallace for the daily readings, at least for the time being. 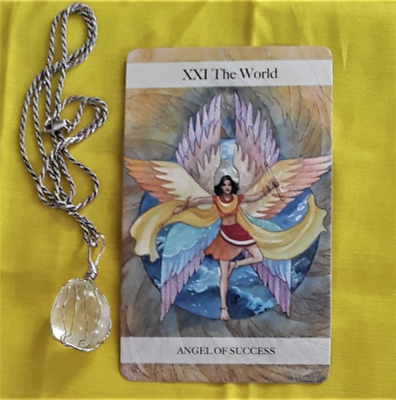 (Read my review of the Angel Tarot deck.) The Tarot card for today is the Nine of Wands (Determination). Nine is a number of completion. When it comes to your work projects, business ventures, home projects that you are passionate about, and romance, you have achieved a measure of success. Don’t let anyone influence you to give up or to think that what you have gained is worthless. Stand your ground and put the focus on your own creative vision — not on what others think.